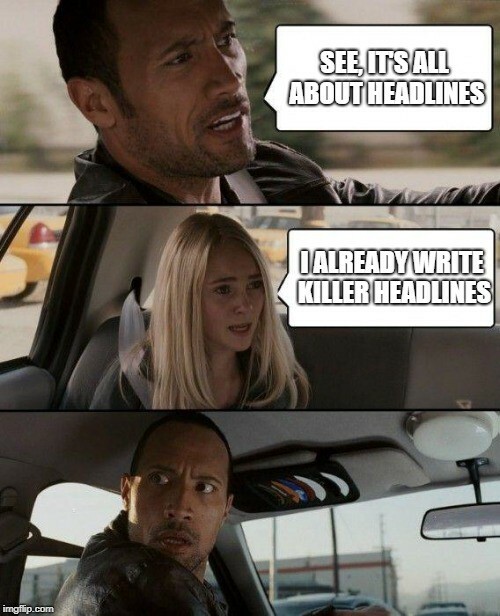 In my last article I wrote about How To Sell More And Beat Your Competition With Perfect Headlines. If you read this, you’ll know that headlines sell content. Which is why I think this is the perfect follow up. Giving you 10 of the most effective headline words of all time, and a few examples to go along with them. The word ‘secrets’ immediately attracts our curiosity, because it suggests something we’re missing out on. Somehow we’ve missed a trick. What is the truth? It’s something we’re always seeking. The truth of something plays on the same feelings as ‘secret’. Our curiosity and desire to know the real deal. Do You Want To Know The Truth Behind Celebrity Weight Loss Successes? Probably the two most used words in online marketing headlines. This word (well technically, words) is so powerful because we always want to know more. We love simple how to content that makes our lives easier and helps us do stuff. How To Get More Sales Online. How to make an autonomous robot attack dog with laser beam eyes and machete paws. (O.k maybe not that one). That’s become a fairly familiar opening to content on the internet. For good reason. An hours teaching from an expert is worth at least 10 hours of self study. Write a ‘sale’ headline and watch the traffic flood in. People love sales. We love to feel like we’re getting a bargain. The Biggest Bitcoin Sale Of This Year — Who Bought It? The are you headline format is an effective one because it’s open ended and makes you think. Are You Guilty Of This Web Design Faux Pas? Are You Missing Out On This Digital Goldrush? Love is a powerful word, which is why it makes powerful headlines. Who doesn’t love the next big thing? This is where the word ‘new’ comes in. New Research Also Suggests Headlines Sell Content And People Skim Content So Might Not Even Read This (but if you do, it broke the monotony of your scrolling search of new info). Have you ever seen a headline with the word ‘breaking’ in it and thought — that sounds boring? I don’t think so! It’s breaking news! Breaking news just means it’s new, super fresh, just off the press and this powerful headline word can be used in just about any scenario. This is the opposite end of the emotional spectrum. On the one hand we love which is positive, the second strongest emotion is hate, which is a negative emotion. Any headlines that evoke a powerful emotional reaction are good writing/journalism in action (within reason). I hope you found this article useful and it gave you a few headline ideas, and that some of my made up headlines brightened your day a bit.